Algonquin hip-hop artist Samian returns with his third album of bold, creative hip-hop, Enfant de la terre. Samian has long held it down for his people and for hip-hop music, where he uses creative flows and socially relevant lyrics to paint vivid portraits of the world around him through Indigenous eyes. After exhausting himself with a relentless schedule of touring and performing in support of his previous album Face à La Musique, Samian took an extended hiatus to pursue other projects. But he missed the music. Enfant de la terre ("Child of the Earth") shows his return to form. Lyrically, Samian is at the top of his game, and the album benefits from its more personal, spiritual and reflective moments, that provide an introspective counter-balance to the warrior stance of his battle-ready anthems. The album is inspired by Samian's love of the land and the Algonquin culture he represents and, to quote a recent review by Voir magazine, Enfant de la terre is a powerful "echo of the values it defends". 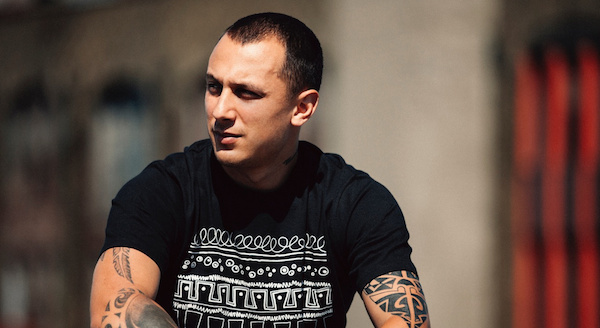 Widely heralded as Quebec's first Algonquin rapper, Samian raps in a mix of his Indigenous language and French, and he has built a loyal francophone following in Quebec. But he acknowledges that the rising Indigenous music scene is still largely unrecognized: "We are few in Quebec—only 90,000 of 8 million people. There are plenty of Aboriginal artists, but few are known to the public. We need to walk together". Enfant de la terre is a step in the right direction. The album is available now. STREAM: Samian - "Enfant de la terre"